If cooking a gourmet dinner for yourself feels like a chore, but you still want to eat like a king, Blade & Skillet’s short video recipes will get you there, sans fuss. The video subscription service offers cooking-show-style recipes in three minutes or less and uses simple ingredients you’ll find anywhere. You also won’t see any crazy kitchen wizardry, or gadgets you don’t own, just a quick and simple (and rather stylish, we might add) way to a great meal. 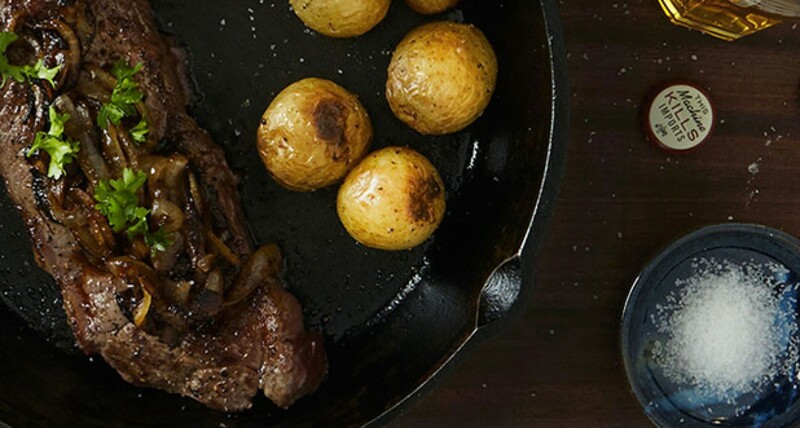 Watch their take on skillet steak and roast mini potatoes here.